I think I'd prefer cliffhanger to sheer confusion. YES, I'M LOOKING AT YOU REAPER! Heroes! ... also hope they they never cancel shows like Chuck and House of course!! 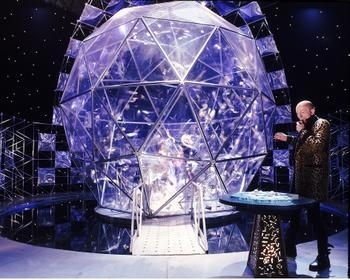 Lots of 90's shows to be honest, Saved by the Bell, Kenan and Kel and also stuff like Crystal Maze. Friends. I love that show. Sugar Rush, which got cancelled so Channel 4 could make a bigger slot for Big Brother , Trigger Happy TV and The Sopranos. Mine would be My Name is Earl. Black Books and Green Wing. Edit: And Gavin and Stacey! Yeah my name is earl, and reaper. AND kenan and kel and fresh prince. All the stuff I used to watch when I was little. Law and Order, followed by Caprica. SAVED BY THE BELL, without a doubttt!! All the game shows where you would actually win something, it will work this time under the newly-relaxed product placement rules, so then you'd actually win a Honda or whatever car rather than just a 'family saloon'.